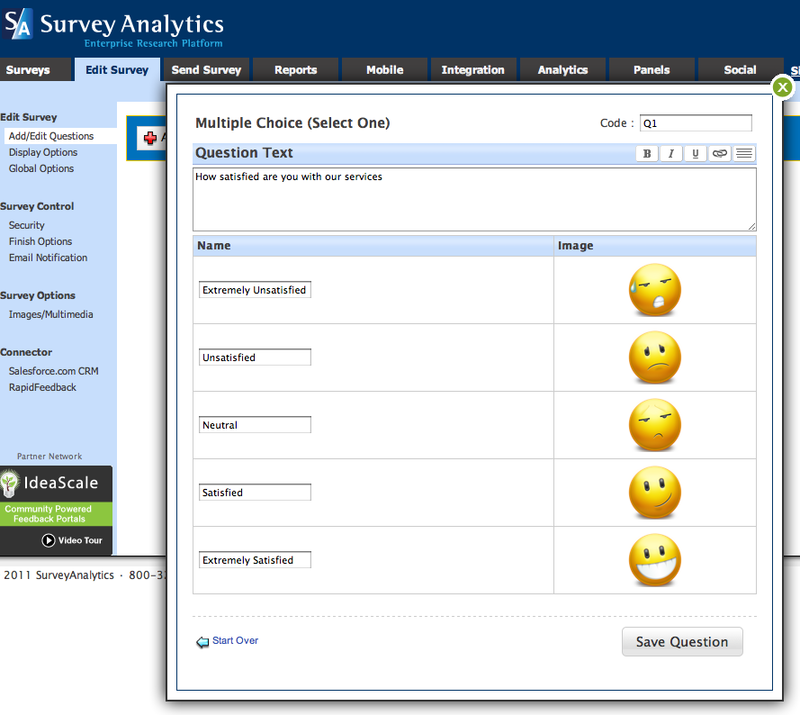 Survey Analytics has added two cool new types of questions: a smiley rating scale, and a thumbs-up / thumbs down question. The smiley question is a 5-point rating scale, obviously intended to represent a range of sentiment from negative to natural to positive. Here's what it looks like with the default wording. Of course, you can customize the labels and the question text. Here's where you edit the labels. As with the smiley question, the labels and text are completely customizable. Enjoy the new question types, and have a nice day!